Cities have multiple personalities, and it takes time exploring something beneath its surface. For travelers, it can be hard to see cities in depth and really get a complete feeling for these urban wonders. Bangkok, known as the monumental City of Angels, is no exception. Each city of Thailand is incomparable with one-of-a-kind attractions lurking in all its nooks and crannies. Here, the most incredible things you can only enjoy in Thailand. Thailand is known as " the country of elephant" on which the Asia elephant is the symbol of the country. 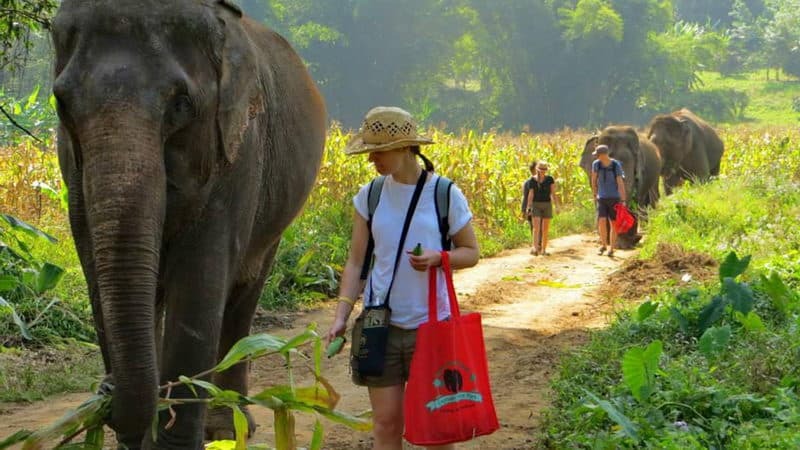 Although almost all park has close contact with the elephant program across the country, but the most famous and friendly one is the Elephant Natural Park in Chiang Mai and the Elephants World in Kanchanaburi. bath and swim with them. Your experience here will give you a fascinating insight to the life of the elephant and how these magnificent creatures think, live and react. Travel is one of the best ways for the decompression while SPA have different approaches but equally satisfactory results. You will soon recover after the whole day travel with the soothing music, charming fragrance and gentle touch. Therefore, Thai massage is one of the best Thailand trip partner. Having a SPA in your travel will make your journey great harvest! 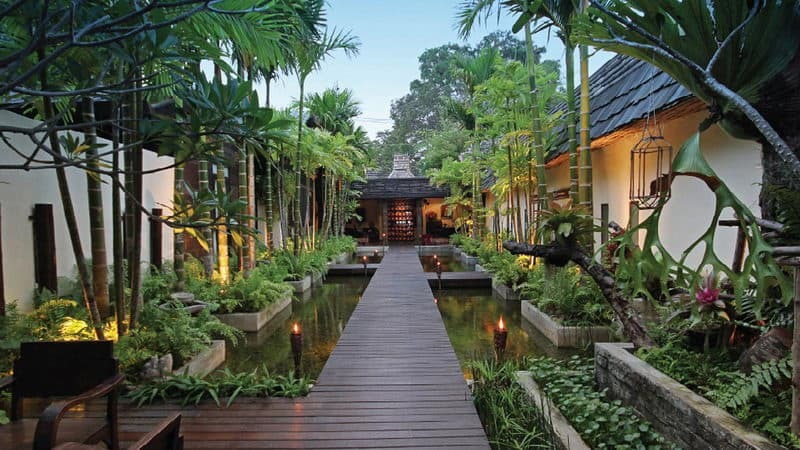 Highly recommend Fah Lanna Spa in Chiang Mai, where you can enjoy it in a charming southeast style garden. It is very clean and the atmosphere is very relaxing and refined. They can even pick you up and drive you back at your hotel. Wonderful interior and skilled staff make customers feel recover after the whole day travel. Although you can watch similar lady boy show in other corner of the world, the one you enjoy in Thailand would be the most authentic one for its unparalleled atmosphere and gorgeous performance skill. The judgement on the performance is not only based on the beauty performers, the stage decoration, delicate costume and performance skill also take a grand consideration. Here in Thailand, all factors can be combined and to the top. You can find professional performance in Bangkok, Chiang Mai, Phuket and Patthaya. Among them, the best choice must be the Tiffany's Show in Patthaya. It was found in 1974, and it initiated the actual lady boy show in southeast Asia. Its boasts world-leading stage settings and program from that time until now. Thai boxing, known as a legendary fighting skill, is famous for the exploration of human strength and agility. Many world-famous players in K-1 and KOMA starts their career in Thai boxing. 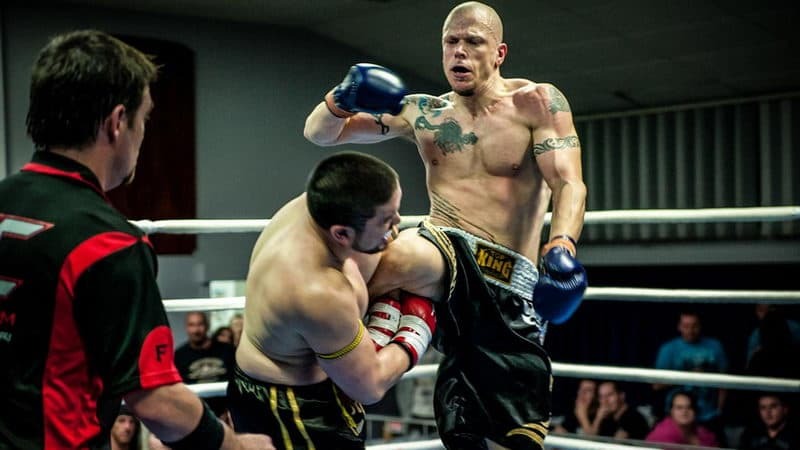 A tough guy like Muay Thai between the game, agile, handsome burst, no friends, so that Thailand is natural to want to go to see a live show of a blood (Bangkok Chiang Mai Phuket has), interested friends can also participate in Muay Thai courses. Thai boxing is just like a game between real men. Sweat streaming down muscular body, tough guys fight on the stage and win their honor. All those make audience heart tremble and blood boil. So it is also a must-see in Thailand, especially just sit behind the stage on a living show. You can find many Thai boxing stadium in Bangkok, Chiang Mai and Phuket. Rajadamnern Stadium is a national boxing stadium since 1945. When speaking of Thailand food, many people will talk about mango sticky rice, spicy green papaya salad, Thai pineapple, but Thai food is more than that. The above Thailand delicacy are not the best attainment for a foodie. They should able to eat as well as cook. If one wants to enjoy authentic Thai cuisine at home, taking local spices is not enough, he/she had better to learn how to make an authentic dish. Learn how to cook healthy and delicious Thai food to surprise your family and friends at home as a gourmet souvenir from Thailand. 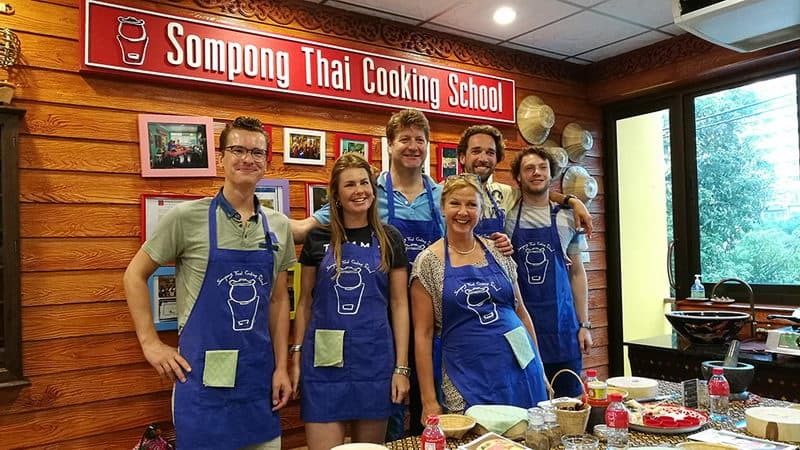 Highly recommend Sompong Thai Cooking School, where cooking classes will start from the basic knowledge of local ingredients and will take you to a local market sightseeing to absorb an exotic local fresh fruits and vegetables, and then learn to cook step by step, and at the end of the class, enjoy all your food that you have cooked and also take away pack if you cannot finish it.